A rat trap had a strange guest trapped in it at Kalkhamb village. The village has been rattled with Rat menace and hence Jayant Patil had placed a rat trap to catch the rats. But to his surprise he saw a strange cat trapped in it. 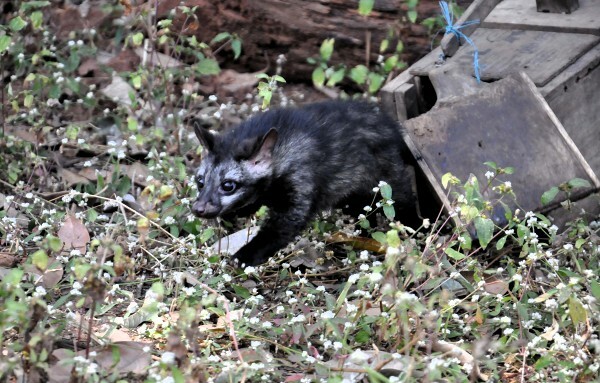 He contacted the Forest officials and the forest officials confirmed it to be an Asian Palm Civet. Normally these cats are found near coconut plantations, the cat was later released by the officials.